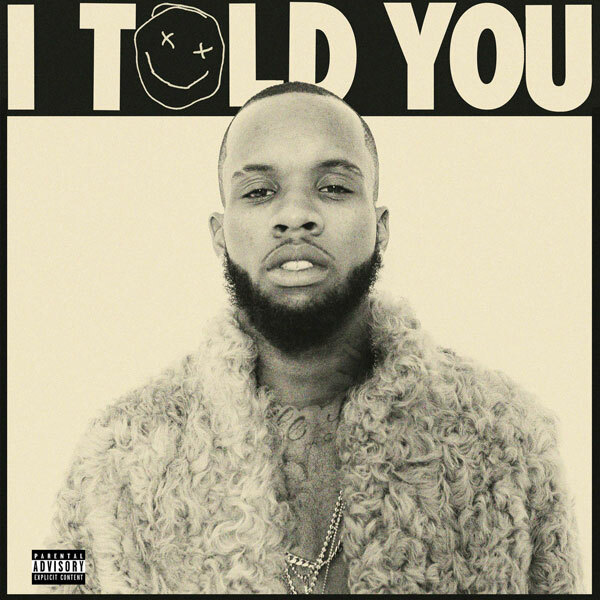 I’ve been hearing about Tory Lanez for some time now, but I never heard a full project of his. Mostly I was hearing all the comparisons people were making between him and Drake (at one point even claiming them to be brothers). From the songs I did here I could see where the comparisons came from. They’re both from Toronto, they both sing as much as they rap, and their subject matter is pretty similar. Well apparently Tory has taken offense to these comparisons (not enough to separate from the attention it’s brought him), and I Told You could be his statement album to show he stands in his own lane. Right out the gate I Told You shows that Tory has a good ear for production. I don’t know who he’s got behind the boards, but they’re talented. All of the songs display a high attention to detail, with hidden intricacies throughout the background that really make you appreciate the craftsmanship. “Cold Hard Love” and “Flex” are probably my favorite tracks off I Told You. With “Cold Hard Love” sounding like an upbeat alternative R&B song you’d find on an album from The Weeknd, and “Flex” being dark and moody, almost hearkening back to 90’s era R&B. That’s a theme I found running throughout; there’s definitely a heavy 90’s R&B influence to his music, with his most popular song “Say It” being a prime example of that. “Loners Blvd” is another highlight of I Told You and almost sounds like a “Weston Roads Flow” type of song you’d hear from Drake (voicemail and all). And that’s the only problem I have with the production. I don’t know if that’s just the Toronto sound, but his production all sounds like the type of dark, moody, 90’s inspired sounds you’d hear from OVO or The Weeknd. If he really is tired of all the comparisons, then he’ll need to shake things up and define the “Tory” sound a little more. Production is only as good as the artist utilizing it, and Tory gives most of the tracks their proper justice. Lyrically he’s gifted; a lot like his Toronto compatriots he lays tracks with ultra personal and vulnerable lyrics that makes you feel like you know him and his struggles. His flow is also phenomenal, riding each track effortlessly and switching between rapping and singing on a dime. You could say he’s more of a singer that raps than he is a rapper that sings, because probably 70% of I Told You is Tory singing, with full tracks like “Guns and Roses” dedicated solely to singing. Which isn’t a bad thing, because he’s actually a more than capable singer, and I’d say better at it than Drake. The only real problem I have is with the interludes between each track. They sound so forced and break up the flow of the album, not in a good way. He would have been better served with less interludes and telling his story through his songs and lyrics. Have you heard I Told You? What did you think about his debut album? Does he do enough to differentiate himself from the other artists in Toronto? Do you think he should rap more or do you like the singing? Let me know in the comments below and leave a rating for the album. I Told You shows Tory's immense talent. Great production, great flows, and great vocals make it a very good major debut. Next time however, he should do more to differentiate himself from the 'others' out there.